In Tampa, two chamber leaders embrace collaboration, grapple with regional business brand. You could say Chuck Black is today and Greg Celestan is tomorrow. Black, 61 and former president of the Tampa Electric utility, now consults on energy issues. He is approaching the ninth inning of his year as chairman of the Greater Tampa Chamber of Commerce. Celestan, 50, a West Point graduate, started his own defense industry business after a military career. He will take on the Tampa chamber chairman’s duties for 2013. Remember, chambers of commerce tend to be patient organizations. 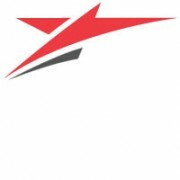 Since 2001, Celestar Corp. in Tampa has grown as a federal defense contractor offering technology assessment and evaluation, systems engineering, and operations support. Now, talk of sequestration – formulaic budget cuts to federal defense spending – amped forward thinking about how to diversify. “That accelerated our plans,” said CEO Gregory Celestan. With plans to spin off technology-related units, Celestar is working in app development, events strategy, and content management and consulting, with innovation an overall theme. The effort provides a broad roadmap for how to diversify, not only to firms focused on defense, but also to small- to mid-sized companies looking for strategies to grow businesses beyond a founding core.